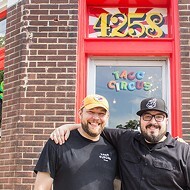 Taco Circus is bringing its signature offering to a much larger space in Southwest Garden. St. Louis' favorite circus is getting a few more rings. Taco Circus (4258 Schiller Place, 314-808-2050) announced today that it's moving to a significantly bigger space — and adding both a drinks menu and full-service dining. The four-year-old taco joint has become a Bevo Mill favorite for its excellent Austin-style Tex Mex and cheeky attitude (just check out those ads in the RFT every week). Now owner Christian Ethridge plans to take his show to the former home of Three Flags Tavern, located at 4940 Southwest Avenue just west of Kingshighway. 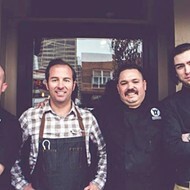 The Bevo location will stay open until the new one is ready — likely late summer, Feast reports. Joining the new venture are Sean Baltzell (the tattoo artist behind Tower Classic Tattoo as well as Parlor Arcade Bar and the forthcoming Takashima Records) and Casey Colgan (a mixologist who's Baltzell's partner in both Parlor Arcade Bar and Takashima Records). Per the press release, "Their influence from décor to drink menu perfectly compliment Christian’s vibrant graffiti art and tagger style." As the release promises, "Happy hour and late night specials will be the norm. 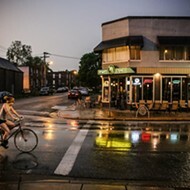 The drink menu features unique and crazy cocktails with classic margaritas along side contemporary renditions. The expanded sit-down menu feeds the foodie culture with premium ingredients at an everyday price." Oh, and did we mention that the new space features a sizable patio? Three Flags Tavern closed in 2017 after a three-year run. It's a lovely space and normally a prime location, but its operation had the misfortune to coincide with the Kingshighway Bridge project, which cut it off from all points to the east. As for Taco Circus, it's long been a food lover's destination, but its new (and more central) location should make it one for people just wanting to hang out as well. The old space only had about a dozen seats; the new one should seat 50 indoors and another 50 outside, Ethridge said in the release. “I want to bring the Austin-style Tex-Mex experience to St. Louis in a way that’s familiar but surprises you every visit," the restaurateur explained. 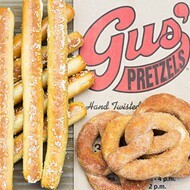 "I’m here to bridge the gap between flashy and tasty, offering classic, guilty pleasures done with high-end ingredients. Everything is on display when you sit down at Taco Circus. My heritage, my influences, my artistry; they’re all here to create an environment where you just want to hang out.” We'll drink to that.